ike all good people or professionals, the media also need to be ready to turn the searchlight inward. 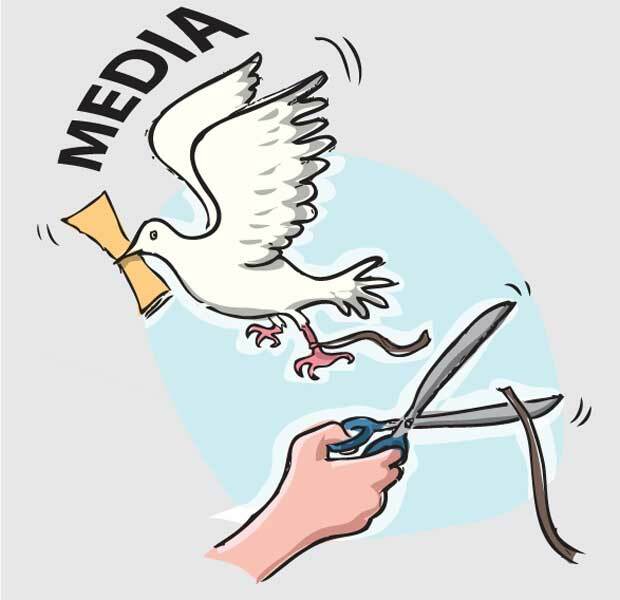 One such area is President Maithripala Sirisena’s complaint that though the new national government restored media freedom to a larger extent after its election victory on January 8 last year, most media groups today are attacking the government in a manner that does not befit the hallowed principles of free, fair, accurate and balanced reporting and feature writing. Addressing a meeting, the President said he had told his media unit to make a summary of the news coverage by print and electronic media groups during the past few weeks. The finding was shocking. The president said in most of the private media groups, 80% of the news coverage and so-called investigative reporting was against the national government. He said he believed that by any standard this was unjust and unfair, not only, to the government but also to the country and the sustainable, eco-friendly and all inclusive economic strategy through which the government was hoping to build a new Sri Lanka. The president said that as a great believer and promoter of media freedom, he was ready to accept 50-50 or even 40-60 coverage of negatives and positives of the government but giving about 80% of negative coverage was unacceptable. In recent weeks, the president has been speaking out strongly and responding positively to public protests against the growing cost of living after the controversial increases in value added taxes. He said he and the government were ready and willing to respond to dissent or fair criticism but he strongly believed private media groups needed to be balanced and fair. He indicated that it was possible that in some private media groups, the unbalanced, anti-government coverage was largely due to the agendas of the media owners who had their own private ambitions for personal gain or glory. The media, historically seen as one of the four pillars of genuine democracy, need to reflect deeply on what the president has said and respond positively. The Daily Mirror, in its Editorials, has often stressed that rights are linked to responsibilities. Media groups, which have powers to mould and reflect public opinion, need to be conscious of our responsibilities. Only to that extent will we be entitled to our rights and freedom. To the extent we fail in our responsibilities and project private agendas for someone’s personal gain, to that extent we forfeit our rights. Essentially, the print and electronic media journalists need to be aware that our main role is to be the voice of the voiceless people. Like the story of the Good Samaritan, widely regarded as one of the greatest stories ever told, journalists also need to take risks, face dangers or even put their own heads on the block in going to the aid of individuals, groups or communities which have been brutally hammered, stripped, robbed or left to die by a wicked society. Media Minister Gayantha Karunathilaka, who has been widely acclaimed for pushing through the Right to Information Law this month, said recently he believed there was a need for an international academy to be set up here to train professional journalists in the ethics and principles of this noble profession or vocation. He complained that often speeches and events were twisted, distorted or misreported either due to lack of professionalism or to suit the agendas of media owners. Professional journalists need to be aware that every event or incident has at least two sides, if not three, four or more. Every side needs to be checked and double checked before presenting the report to the viewers or readers so that the people could make a properly informed choice or judgement. Having been called upon to play a vital role in rebuilding a just society, the media cannot and must not fail in its responsibilities to the people of this country, especially the poor and the oppressed. At the same time, we would like to tell the president and government leaders that they also need to be liberated from slavery to selfishness and touch the dimensions of sacrificial selflessness. They must also stop telling lies, damn lies or giving doctored statistics which are the worst forms of lies.